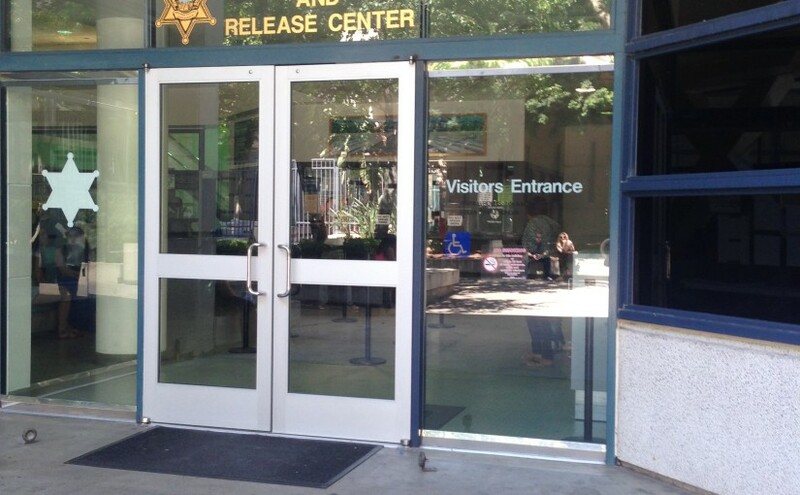 November 21, 2014: My first visit to the Orange County Jail. I was totally freaked-out nervous for a bunch of reasons. Holy crap! This guy is accused of murdering two people. It’s jail. I feel judged even just visiting the place. Overwhelming worry that I’d mess something up and they wouldn’t let me visit. Silly as it sounds, I don’t like to let people down. I would’ve felt terrible if Daniel didn’t get a visit just because I couldn’t follow directions. Self-inflicted high anxiety. I stress out because that’s what I do. You know, maybe there would suddenly be some glitch in the Matrix and Daniel and I would switch bodies and I’d watch him walk away to freedom while I was put back in his cage. AND… holy crap…. this guy is accused of murdering two people! Visits are on Fridays, Saturdays and Sundays from 8 am – 5 pm. You need to arrive fifteen minutes before the hour. This is not nearly enough time for my comfort level. I like to be there a least thirty minutes early. You need the booking number of the inmate you’re visiting. I had that already because it’s same number I use when I send him snail mail. Quarters! You really only need one quarter. It’s so you can put your stuff in a locker while you’re visiting. I always need at least two quarters, since there’s never been a time when I didn’t forget that my phone is in my pocket, or that I accidentally put my driver’s license back in my purse, so I have to open my locker and use another quarter to lock it again. Knowing the whens and hows still didn’t help me know what to expect. This wasn’t actually the first time I’d ever visited someone in jail. I’ve had friends or family members who had done time for petty theft or drug use. There have even been a couple of drunk-and-disorderlies thrown in there. 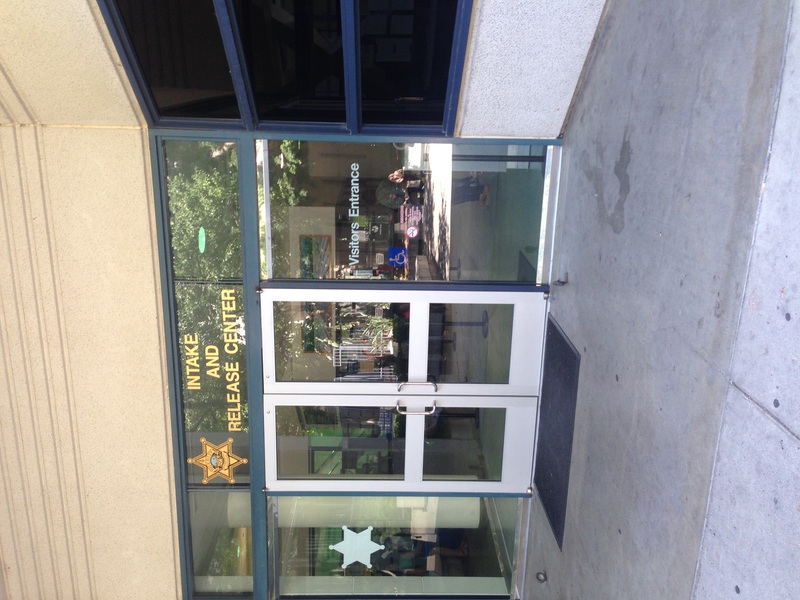 The Protective Custody unit at the Orange County Jail is a completely different world. Daniel is in the Intake / Release Center. This is where inmates are housed while awaiting trial. Most people are not there for five years. There’s something you can’t quite put your finger on: a feeling that you lose some of your “regular person on the street” status in the eyes of the O.C. deputy sheriffs. As soon as you walk in the door, you become someone to be watched, scrutinized, and recorded. You go through the glass doors and join a check-in line. They do not appreciate it when you excitedly approach the next window before they call you up (I was just trying to keep things moving along… jeeze!). You talk through a speaker. 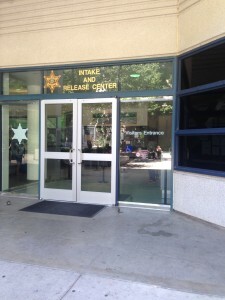 You can only see the deputy if you push your face against the glass (they don’t like that, either). I give Daniel’s name and booking number to the female deputy and she seems immediately distrustful. Daniel’s circumstances do make him a high visibility inmate, so that’s not total paranoia on my part. I open the little door on the secure passageway between us. When my door opens, her corresponding door seals shut, and vice versa. “Hmmm… ok.” She puts my ID back in the compartment. I try to open my side too soon. It’s still sealed because her door isn’t completely closed. I still make that mistake, even though I’ve visited a bunch of times by now. Maybe, inside that room, there is access to some giant “release all prisoners” button, and they want to make sure that no “El Chappo types” send in their henchmen to try a breakout. I sit on one of the teal molded-plastic chairs in the waiting area. The place isn’t very crowded. I’ve come to discover that Saturdays and Sundays are busier. I try to not be obvious with my people watching. I’m sure people are watching me. Purple hair (at the time). Black clothes. Tattoos. Giant nervous smile plastered on my face. I try to keep my legs from bouncing too much. Next up on DWIMF – The first time I was face to face (well… face to glass to face) with Daniel since before his arrest. It would be great if anyone would like to share their own jail visit stories. I’d love to read your comments.